Although ginger is not an entirely new flavour in Chinese cuisine, it makes for a delicious addition to mooncakes. 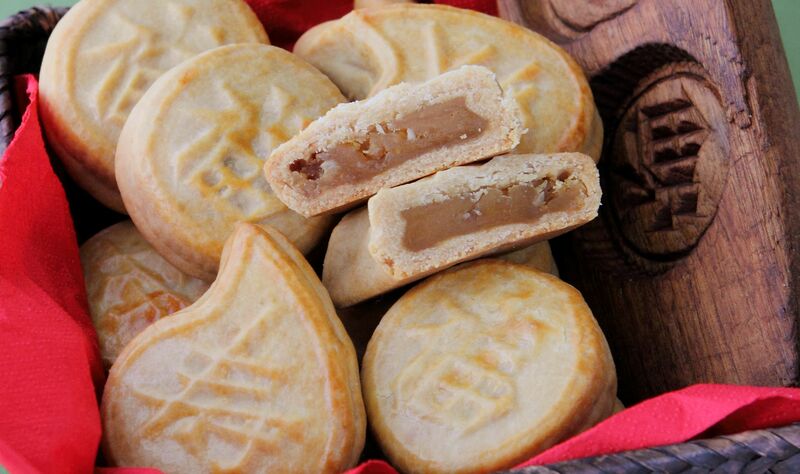 Try this Ginger Mooncake Biscuit recipe now! In a bowl, combine golden syrup, palm oil and alkaline water. Cover with cling film and rest for 1 hour. Sift in the flour and cinnamon and work into a dough. Cover with cling film and rest for 1 hour before using. If the dough is still sticky, add in up to 10g extra flour. Divide into 90g portions. Combine ingredients and divide into 80g portions. Flatten a portion of dough and wrap around a filling portion. Press into the mooncake mould and unmould onto a greased baking tray. Pre-heat oven at 170ºC. Bake for 10 minutes, remove, brush biscuits with egg wash and bake for a further 10 minutes. Allow to cool and rest for 2 days before serving.